What do you get when you combine the adorable Corgi with the sassy Shiba Inu? Well, you get a loveable designer breed known as the Corgi Inu! The Corgi Inu, may also commonly known as the Shiba Corgi or the Shiba Inu Corgi Mix—and, as his name suggests, these designer breeds are a mix between the Shiba Inu and Cardigan or Pembroke Welsh Corgi. 5 Fun Facts About The Corgi Inu Mix! 1. One of their parent breeds characteristic may be more noticeable! They can inherit either a more Corgi-like or Shiba Inu personality. 2. If these mixes are well cared for, then they can live anywhere from 12 to 15 years of age. 3. Both Shibas and Corgis are active dogs! They need constant mental stimulation and exercise in order to keep them happy! 4. The Shiba Inu and Corgi are often described as dogs that can smile. So, a Corgi Inu is going to look like the happiest little pup! 5. Because of their stubborn, naughty temperament. The Shiba Inu Corgi Mix can be a fussy eater! So, make sure you add yummy treats or wet food to his diet to prevent him from getting bored with his food. How Does The Corgi Inu Look? 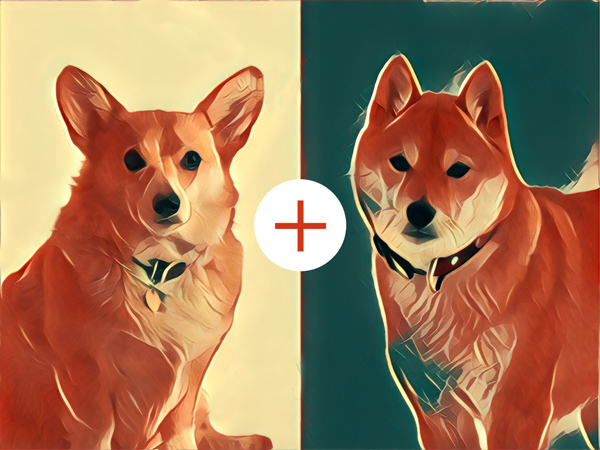 A Corgi Inu is going to look a lot similar to the Shiba Inu, mainly because both parent breeds tend to retain a “fluffed fox-face” appearance. But, in general, these mixed breeds tend to have a medium length, pointed muzzle, erected ears, and dark brown almond shaped eyes. It seems like the most talked about questions of the Shiba Corgi mix, revolves around “are they aggressive?”, “Do Shiba Corgis bark?”,”Do Shibas like to cuddle? Well, to answer these questions, we need to look at each parent breed, and then the designer breed as a whole. The Corgi Shiba mixed breed is definitely a dog that’s going to entertain you for hours! These hybrids are actually not as shy as their Shiba Inu parent breed. These lovely dogs can be barkers, particularly if they take on more of their Corgi ancestry. But, if your mix inherits more Shiba, then chances are he will remain quite. For the most part, these breeds aren’t necessarily “cuddle-bugs”, partly because Shiba Inus aren’t the kind of dogs who enjoy hugs. In fact, we can actually describe the mix as a loyal, one-mans dog. There’s a common misconception that these mixes may not do well with other dogs, pets, and children. However, this may be far from the case. This is because, any dog who is properly socialized, has the potential to make a great family pet! According to the American Kennel Club, the Pembroke Welsh Corgi can be described as a loving little dog, who may naturally have a bold persona. Corgi’s, in general, may appear cute on the outside—but, these dogs are very intelligent! they often can be described as determined pups, who love to play all day with their owners. When around children, the Corgi can be described as a gentle, friendly pet. However, should a Corgi encounter a mysterious stranger, then you can expect them to remain on high alert—in other words, they will bark like crazy to let you know about that “intruder” in their house. Shiba’s are what we dog lovers refer to as “the pups of the cat world”. Yes, nothing best describes the Shiba as a standoffish, independent dog, who knows how to get his owners attention. These feisty canines are well loved in Japan due to their tranquil-balanced nature. Around children and other pets, the Shiba can be quite gentle. But, be warned! These dogs don’t like being pushed around by kids who may be rough with them. So, we highly recommend that you never leave a Shiba Inu (or in fact, any dog) with a child unattended. Now, there’s a whole lot we can say about the Shibas personality! Make sure you have a read on The Shiba Inu’s Personality and Temperament if you’re really keen to learn more about this breed. According to the Canine Inherited Disorder Database, one of the most important health concerns witnessed in the Shiba Inu is hip dysplasia. Conversely, genetic disorders such as lens luxation, progressive retinal atrophy, retinal dysplasia, and intervertebral disk disease seem to be more prevalent in the Cardigan Welsh Corgi. If two dogs of different genetics and breed are crossed—Then in theory that hybrid animal will generally remain healthier than any purebred. This is a term, what geneticists often refer to as heterosis. But, just because a dog is a mixed does not necessarily mean he get’s a free pass for being healthier! When it comes to genetics—any dog, mutt or purebred has the potential to encounter health problems.